Walltastic was founded in August 2002 as a novelty goods trader by present owner Julian Evans with the grand sum of 60 pounds! The company has since established its reputation as becoming the largest Wallpaper and decoration kit company in the world. 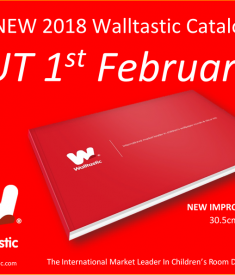 Walltastic® Ltd is the creator of Walltastic˙ the next generation of designer wallpaper for children. The leading global, most affordable, easiest and cost effective way of decorating children’s bedrooms, nurseries, playrooms and games rooms. New murals are constantly being released, please come back and check for updates..
We hope you enjoy our Walltastic® wallpaper murals as much as we’ve enjoyed turning the concept in to a reality.